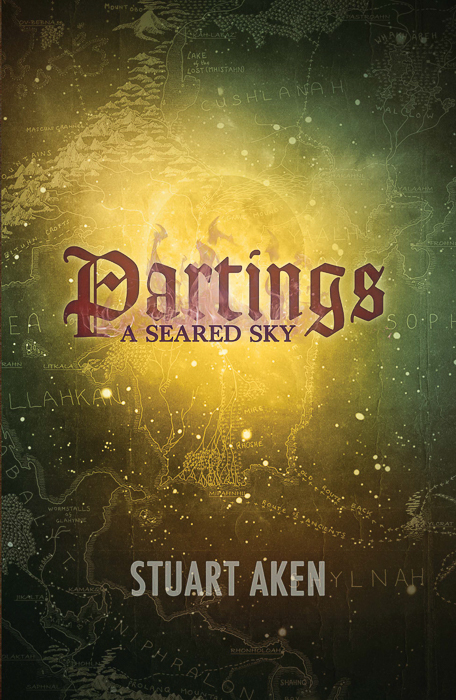 Partings is now available in print form. We’re still waiting for Amazon to connect the digital and print versions, but you can still buy it either from your local Amazon store by clicking here. Or direct from Fantastic Books Publishing by clicking here. And, after a long wait, I’ve finally got a review of the book. Here it is. For those who’ve read either of the books so far published, I’d really appreciate your review, regardless of what you have to say. All reviews help both the author and other readers. Thank you. The second installment of this fascinating series carries on where “Joinings” left off but introduces a lot of new characters for the second part of the journey. All the characters are interesting and are continuing to develop. Unlike many fantasy novels, where the focus is on the journey and the lore, “A Seared Sky” isn’t afraid to let the character drive the story and undergo significant change along the way. Author’s note for those unfamiliar with the series: ‘fern’ is a euphemism used by characters in the series to refer to a part of the female anatomy. Write. Publish. Repeat, by Sean Platt and Johnny B. Truant, Reviewed.